Kale salads can be really good or not good at all. The secret is massaging the kale and adding enough acidity and liquids so that the leaves relax a bit and it’s not just like, well, chewing on leaves. 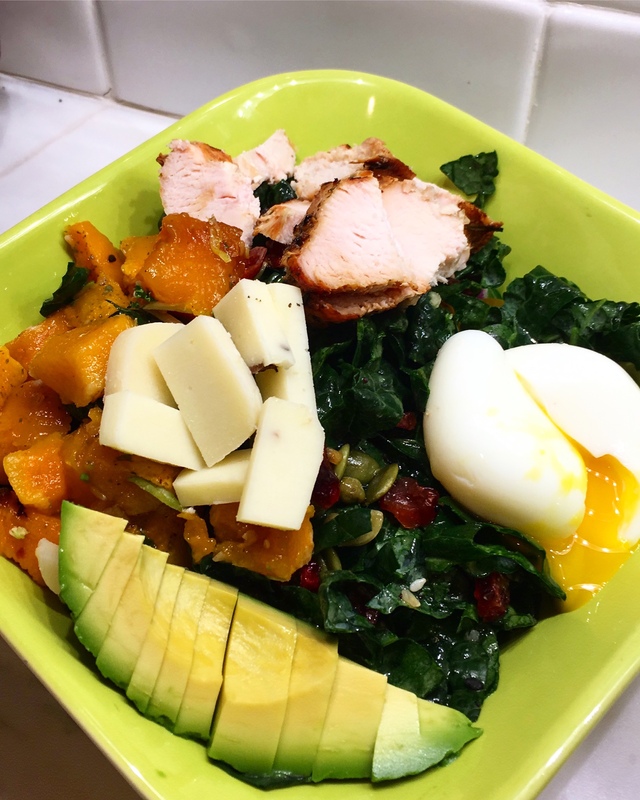 when ready to eat assemble all these components on top of the kale and you’ve got yourself a kale salad! Next PostNext Amped Up Oatmeal Raisin Cookies!